Return to Garbage Bag Filing System. Join in and write your own page! It's easy to do. How? Simply click here to return to Self-Employed Bookkeepers. Learn what to do after you have entered your data. Click on the image to learn more. Click on image above to read the chat. Click on image above for my review. Help support this site by "liking" me! Here's where I post current information. Listed Under Websites NOT Local Business. This website is not associated with the business operating in Bonnyville AB. 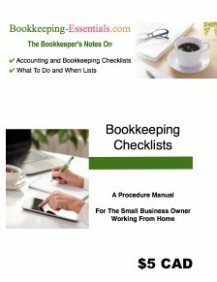 Bookkeeping checklists that are a handy reference. Click on the image to learn more. All Rights Reserved. Do not duplicate without permission. Inquire about my virtual bookkeeping services in B.C. and Alberta today. 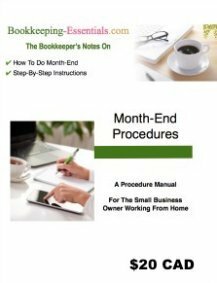 I specialize in bookkeeping for small virtual / online service based business owners who work from home.